Your home is under attack of pests. Every other day you have to deal with pests. The pests’ presence in your house is not good for anyone in the home. From kids, adults, aged people to your pets, these nasty pests will leave their negative impacts on all them including your household items. Even the tiniest pests are potent to make you sick and make your things ruin. Pests grow in large numbers and before these insects rule over your home, you need to rule them out permanently. Pests have many places which make them intrude your space easily. You are certainly not aware of every opening point of your house. You also do not know which pesticides will be apt for the pests. It is not possible to stay in a pest-prone zone. If your home has become the home of pests, then you should get your home back and make it a place for human beings. To aide you in this matter, our pest control Perth company will be there by your side to make your living space a place for human beings. Which pests keep bugging you on and off? There are many pests which show themselves up in your house. No property is immune of insects. Every colony of pests has many species of pests. The common pests which homeowners tend to complain about are bed bugs, bees, rodents, fleas, flies, cockroaches, white ants, ants, spiders and so forth. Before applying pesticides, you should know which pest species are there in your home. The identification of each pest specie will be done by our pest servicemen who will acquaint you with the behaviour and habit of pests. * Do not keep cracks and gaps open. Cover the opening points to prevent pests from coming in. * The major stimulants are plants and flowers. If you are planning to have garden, then the distance of your garden and home should be three to five metre. * Cover up food items properly. Seal every food container tightly. * Wash up eating zones thoroughly. * Trash cans should be kept empty at all times. Whenever you fill garbage, you should throw out garbage immediately. * Stagnant water invites pests to breed. Keep your area dry always. * Keep your zone moisture-free. 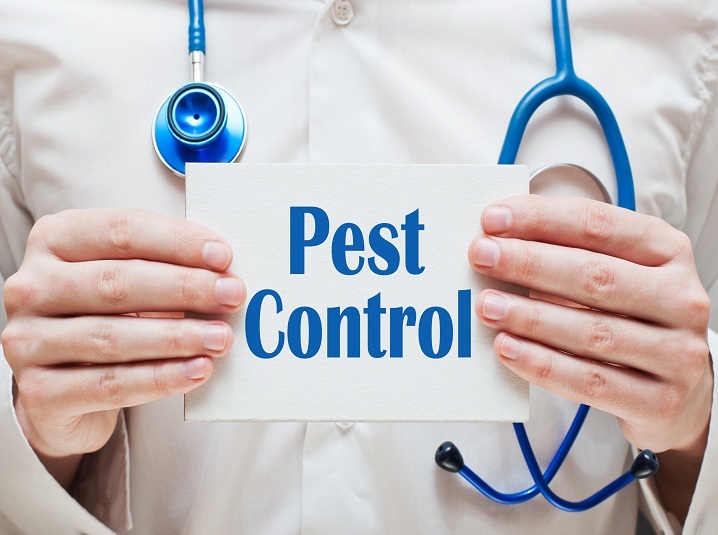 The best way to rid of pests is to get your entire house treated with pest controls. Our pest control services have a range of treatment processes which will not allow any insects to breed inside or outside your territory. The comprehensive inspection and the right applications of pesticides, repellents and baits will keep the level of pest infestation down always. Our pest officers will provide you some effectual tips to keep pest breeding at bay.